It is prudent to mitigate the financial risk and reduce it as per optimum financial planning. One of the best ways out is to go for a Life Insurance policy to fulfill your future financial objectives along with offering financial security to your family. Life is a beautiful journey accompanied with some bumpy rides during its course due to the element of uncertainty and various risks associated such as death, accident, disability or disease. Though, we cannot predict our future, we can certainly secure the future of our loved ones by offering them financial backup and security during unfortunate times. It is prudent to mitigate the financial risk and reduce it as per optimum financial planning. One of the best ways out is to go for a Life Insurance policy to fulfill your future financial objectives along with offering financial security to your family. However, the penetration levels in India show a lower figure for the number of people insured with any kind of life insurance plans. One of the vital reasons being the affordability and lack of awareness about the life insurance product's benefits. It is merely considered as a tax saving tool by many. 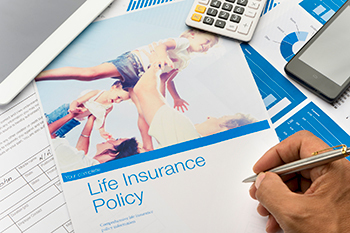 Let us have a look at various ways which could help you to reduce your Life Insurance Premium to make it more affordable. Never wait for buying a life insurance policy because your age has a direct impact on your rate of premium. A young buyer will be offered low rates of premium in comparison to a buyer with an advanced age. This is because young people are healthy and have less chances of passing away than an old person. As the age advances, health issues arise, which makes old people more prone to diseases and increases their chances of claiming towards the policy. So it is always good to buy a life insurance policy as early as possible to enjoy a lower premium throughout your policy term. Example: A person opting for a life insurance policy at age 30 years will have a lower premium to pay throughout the policy contract as compared to a person buying life insurance at age 42 years. A medical checkup before buying a life insurance policy reveals your health condition to the insurer, based on which insurance companies decide the rate of premium. If the insurance company finds you suffering from a specific disease, then the rate of premium will be increased according to the type of diseases and its intensity. Being healthy will keep you away from high rates of the premium charged by the insurance companies, and it is always good for your own life too. Example: A person suffering from diabetes or blood pressure will tend to pay more premium for an insurance cover as compared to a healthy person of his age. The life insurance policy gives you the option to choose the policy term like for 10, 15, 20 years as per your future goals and objectives. It is advised to choose the policy term, according to your own requirement, rather than that suggested by your agent. Going for a longer policy term without any need will mean a higher cover amount, but will result in higher premium rates also. Choose your reason for buying a life insurance policy. If you are buying a term insurance plan (a type of life insurance plan) as a risk against loan for 10 years, then choose the policy term similar to your period of outstanding loan. If your child is 2 years of age and you want to buy a child insurance plan (a type of life insurance plan) to collect adequate funds for his higher education. The ideal term would be 18 years (the age of your child when you need the funds) minus 2 years (current age of your child). There is a huge difference in the rate of premium for smokers and non-smokers. Smoking reduces life and is a deadly addiction. We all know including the Life Insurance companies that smoking is injurious to health and reduces the longevity of your life and exposes you to other critical illnesses like cancer. So it’s better to avoid dangerous addictions like smoking and enjoy low rates of premium. Example: A 27 year old non-smoking person living in Delhi will have to pay a premium of Rs 9,178 annually for a term insurance policy for 30 years with a cover of Rs 1 Crore. While the same person, with the same policy term and cover will have to pay Rs 13, 594 annually, if he is a smoker. You have the option of choosing your premium payment mode while buying a life insurance policy. You can choose from monthly, quarterly, half yearly and annual mode of premium payment. If you will choose annual mode of premium payment, then you will be offered lower rates of premium in comparison to other modes (monthly, quarterly and half yearly) of premium payment. This is because; companies have to spend the extra cost for managing policies with multiple premium payment in a year. So if you want lower rates of premium, it is prudent to go for an annual mode of premium payment. When you buy a life insurance policy online, you deal directly with the company and there is no involvement of a middleman (agent/broker) between the company and you. Companies save the cost of commission charged by agents/brokers by offering policies directly to the customer through online medium. By saving money on the commission, companies offer a low rate of premium on life insurance policies for their online buyers. In case of an offline mode of buying, you buy a policy via an intermediary (agent/broker) which involves the commission element in the premium charged. So always buy online life insurance policies, which are 10% to 20% cheaper than the offline buying. It is not about one premium payment, rather throughout the policy term, you will pay the lesser amount if you buy a policy online. Example: A Term insurance plan bought online for a 32 year old person for Rs 50 Lakh is Rs 3,500 online where as the same plan might cost Rs 4,250 if bought offline. Riders are the additional benefit which comes with your life insurance plans. You add riders to your life insurance policy, according to your requirement. But adding a rider increases the rate of premium also. Each rider increases the price of premium and buying different riders without any use can end up in very high rates of premium. If you don’t need any rider, then it is better to avoid adding any rider to your policy or add specific riders as per your need, so that you will not have to pay high rate of premium unnecessarily. Buying a Life insurance policy can be much cheaper as compared to a big financial loss by not having it. You just need to know the factors which affect the rate of premium and the ways which can make your life insurance policy fit into your tight budget. Understand about your life insurance policy and choose the best policy at an affordable price.